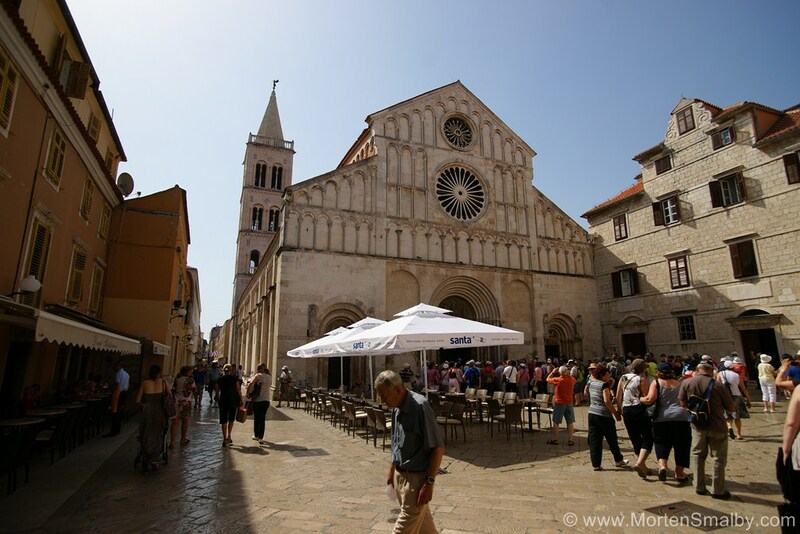 This year we spend our Easter holiday in north Dalmatian town Zadar, where we had 4 relaxing days by in Linda and Mario’s apartments in Zadar. 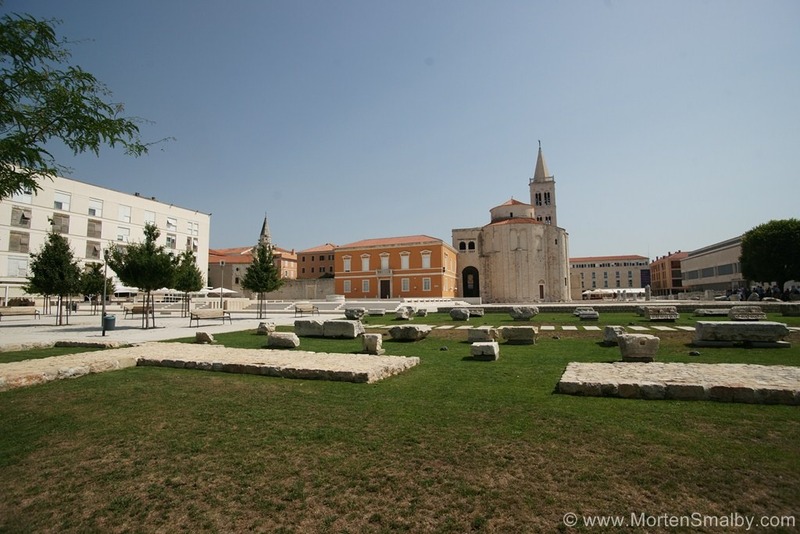 For those of you who are not familiar with Zadar I would briefly explain a bit about the cities history. 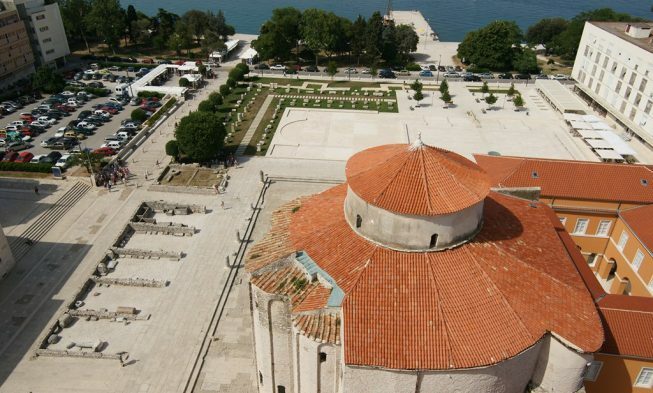 Do to Zadar strategically placement well protected behind the island Ugljan, Zadar has since the founding by liburnian tribes in year 900 BC, been and important city to control by the frequently changing rulers in the area, so during it 3000 year old history, Zadar among other has been controlled by the roman empire, the Byzantine empire, the Venetian empire, the Ottomans empire, the Croatian kingdom, Austria and Italy, who actually held the city until the end of WWII, where Zadar became a part of Yugoslavian republic. 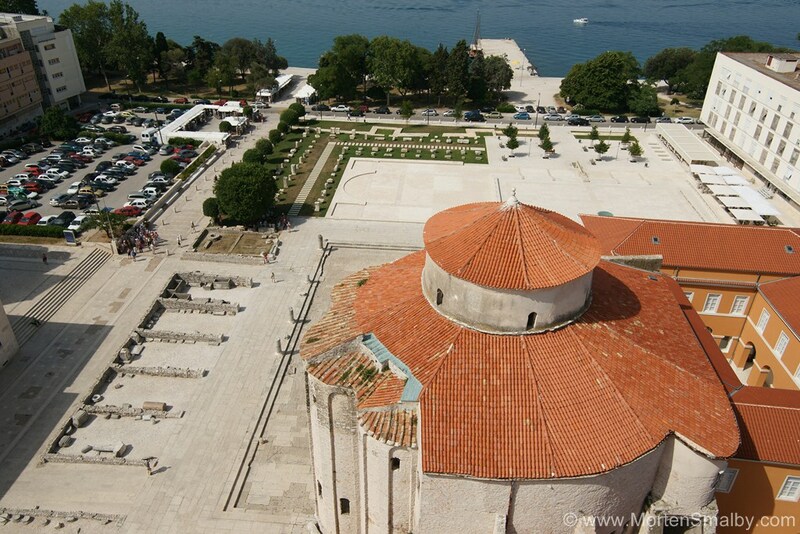 During the years the change in the ruler ship has let to numerous attacks on the city, the latest attach was during the Homeland war (Balkan war), where the city was bombarded, from positions out side of the city, by the Yugoslavian People’s army (JNA), the bombardments heavily damage some of the historical building in the old town. 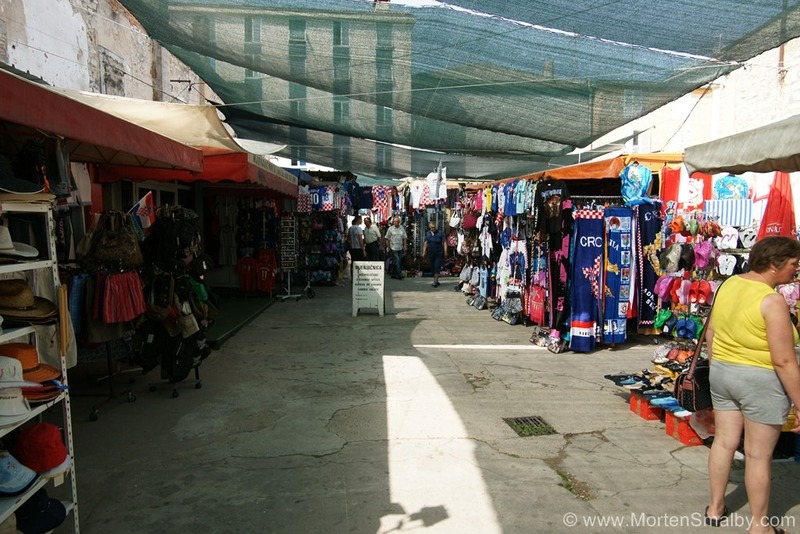 The city was liberated in 1993 by the Croatian army. 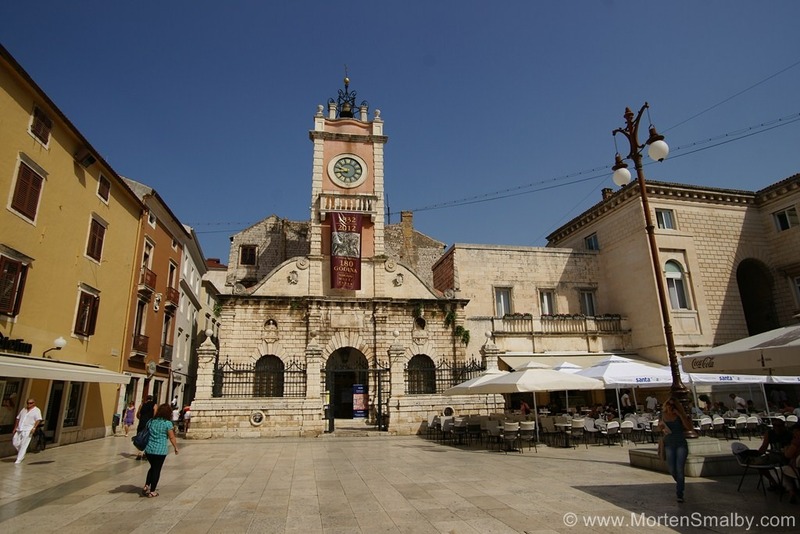 Although the old city and the city in general has been fully rebuild and most tourists maybe would find it hard to believe that less than 20 years ago, the city was part of a war. 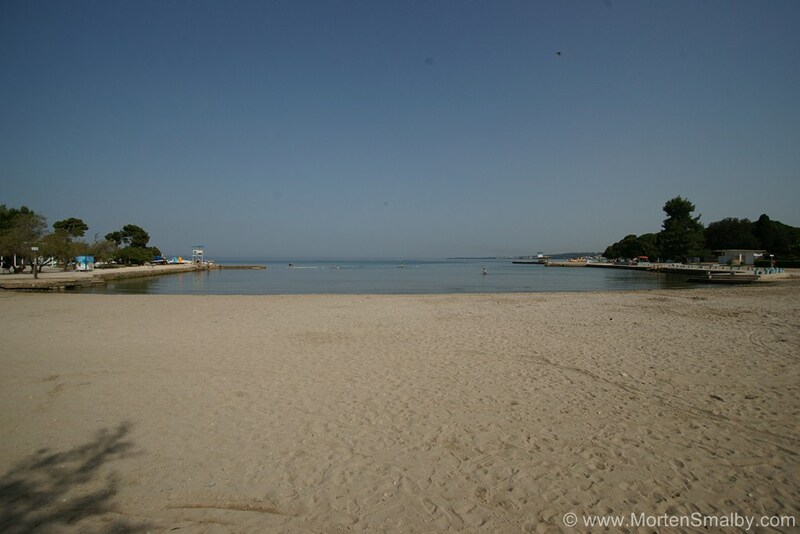 One would only have to go about 10-15 km outside of the in direction Maslina, here you still can find signs saying “beware of the minis”. 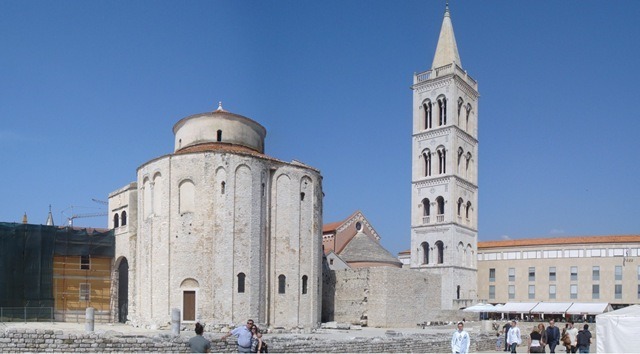 Our first day of our holiday we spend exploring the old town Zadar, which is a must see, here you find historical building in beautiful architecture, like the Church of the St Donatus from the 9th century, which is situated next to the roman forum and st. Anastasias Cathedral. One the day when we visited there was a mini train next to St Donatus, offering a 20 kuna (kids free) round trip in the old city, the kids of course what trilled about going by the train, below you can see map where I have lined up the route which the train takes, (I am not sure if the train actually can go this route in the main season, because of the crowd). 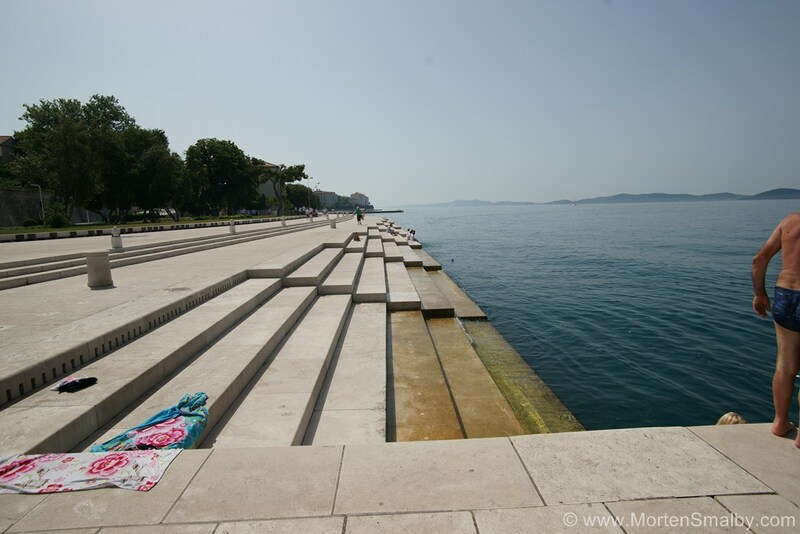 After we had finished the round trip we walked down to the light organ and the sea organ, which a situated on the very peak of the old town peninsula, from there we followed the Riva down to the university building, (On the way we of course stopped at the nice new play ground). 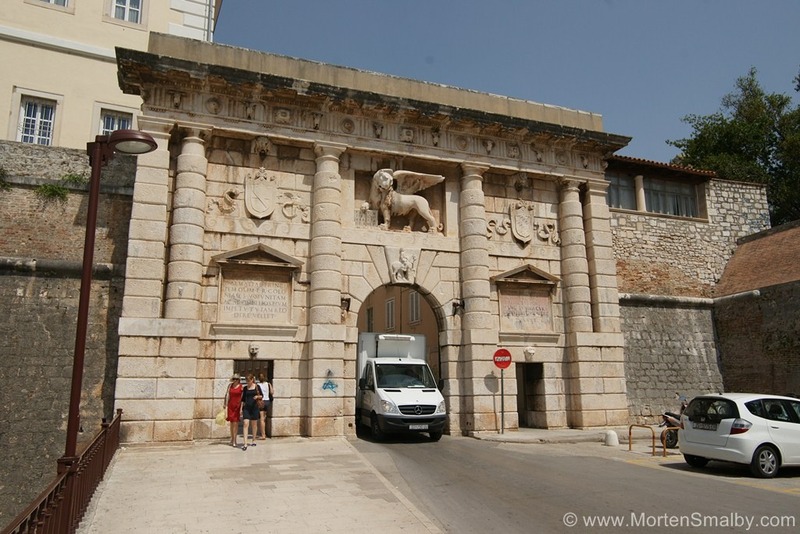 From the university building we walked along the city wall to Kopnena Vrata, and the square of the 5 wells and the parks at the south end of the peninsula, our round trip was complete in front of the forum. 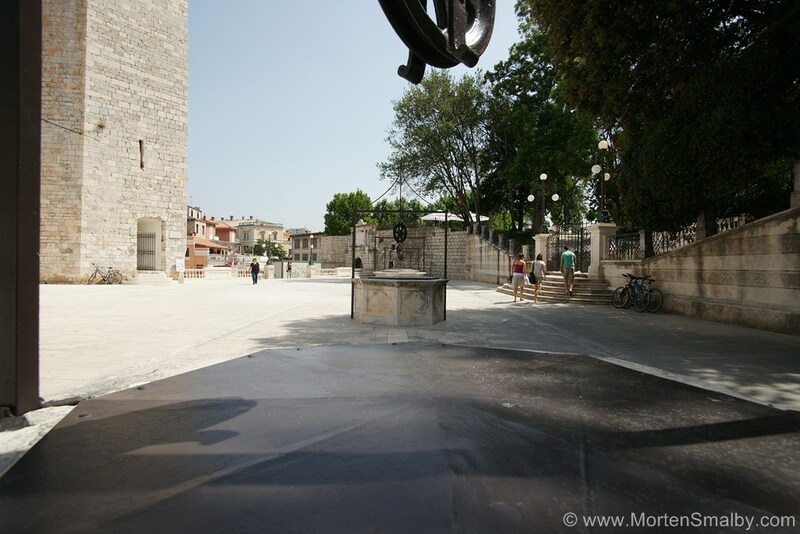 Parking can be done along the old town wall; parking is 7 kuna and hour. Alternative is to leave the car on the e.g. 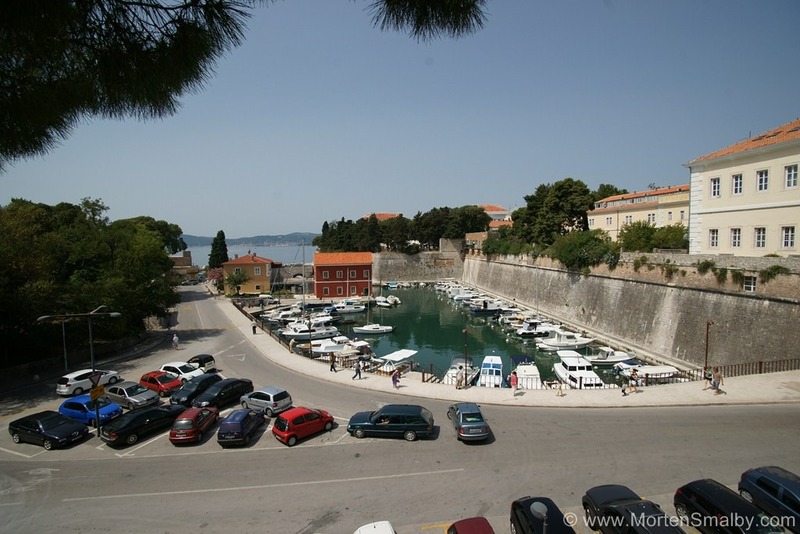 at the gallery shopping centre and the walk across the bridge leading to old town, or to park somewhere close to ACI marina a cross the water with one of the guys providing transfers in a rowing boat. There are of course plenty of restaurants in the old town; personally I have only tried few of them in the old town, so the only one I can recommend is Arsenal. 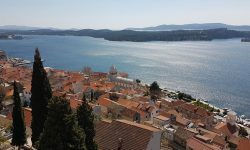 If you stay in city part Burik or Diklo, you should visit restaurant Sime. 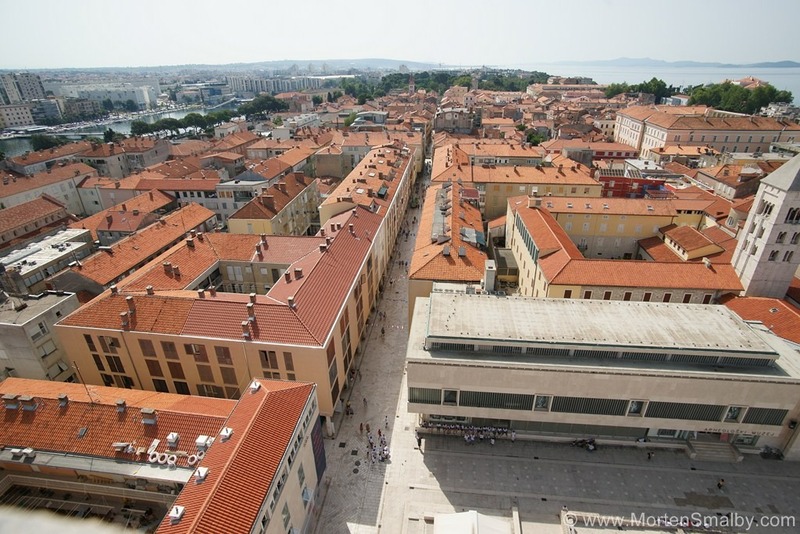 Majority of accommodation and hotels (also main Hostel) in Zadar can be found in the city parts Burik and Diklo, although this is some km from the centre it is easy to go around from there as they are well connected with buses, and in these city parts you are much closer to the beaches in Zadar. 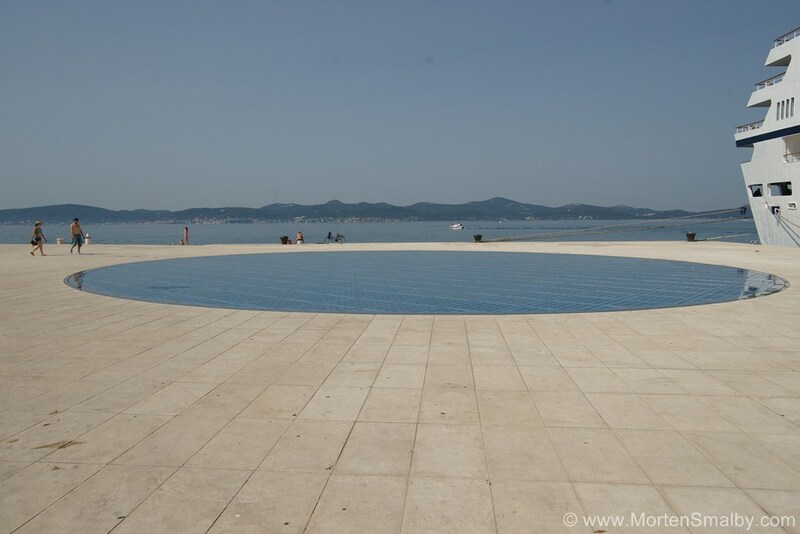 Hope, this have giving you appetite for visiting Zadar, feel free to leave a comment if you have any questions.